UAE-IX is a neutral Internet traffic exchange platform that interconnects global networks and, above all, network operators and content providers in the GCC region. The UAE-IX is built on a fully redundant switching platform located in two high-class secure data centers in Dubai. Initiated by the UAE’s Telecommunication Regulatory Authority (TRA) and fully managed by DE-CIX, who operates the world´s largest Internet Exchange based in Frankfurt Germany, UAE-IX delivers a highly available local alternative for regional traffic exchange, localising Internet content. UAE-IX will reduce latency times by up to 80 per cent and costs by up to 70 per cent for GCC providers. Moreover, UAE-IX will improve IP network resilience and robustness and will also help provide reliable connectivity within the GCC. The Gulf economy is booming and so is the region’s data traffic. HDTV, online gaming, multimedia, and cloud computing are driving data traffic there as well. Until now, Internet service providers in the GCC region have had to exchange their traffic via Europe, Asia or North America, leading to high latency rates. 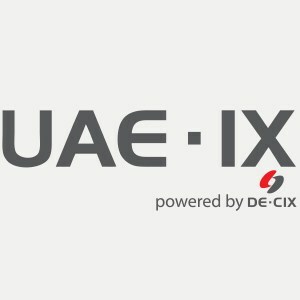 Initiated by the UAE’s Telecommunication Regulatory Authority (TRA) and supported by DE-CIX, UAE-IX delivers a highly available local alternative for regional traffic exchange, localising Internet content. It will dramatically improve routing efficiency and the quality of the Internet experience for end-users.